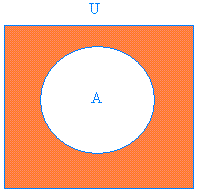 Given a set A, the complement of A is the set of all element in the universal set U, but not in A. Take a close look at the figure above. 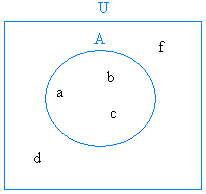 d and f are in U, but they are not in A.
Complement of a set quiz. Take the quiz to see how well you understand this lesson.